Whether it’s working or not, it’s always a good idea to perform a network needs analysis and to review telecom business processes. Really? Yes, and while you don’t have to be as buried as this guy by the crush of possibly his own making, it’s never too late to get ahead of the curve. 1) Is all going right and as planned? 2) Can we do better? 3) If we can, what do we need to do? 4) Can we afford to do what needs to be done? Contact Fortune Consulting online today about your telecom business processes or call us at 888-692-5111. It all starts with a detailed analysis of the facts and not the typical excitement that can hit an organization when it’s believed that technology can solve everything. In many cases it can, but not always. Taking a more measured approach to solving the problem can help avoid over thinking the problem and spending a lot of money on technology and not getting a solid ROI. Fortune Consulting’s approach to any network needs assessment is not really that novel. What is novel is that in today’s increasingly world of supplier provided “consultants” we maintain our independence. We can help you determine what you need, not what’s being hyped in the market place or even possibly within your own organization. We also work hard with you up front to agree on an evaluation methodology and output format that works for you. 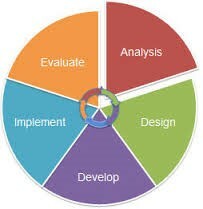 We don’t use a generic analysis or boilerplate formatted template to develop your custom assessment. Our value proposition is that we focus on your needs, not ours and not any third party service provider. Can you be sure of that when you rely on a less than independent resource? Let Fortune Consulting help you cut through the noise, whether it’s internal or external. A good assessment can only be accomplished when you can focus on the details and have the experience necessary to evaluate the alternatives. Our telecom consultants have that experience and can produce results on your timeline and within your budget. In fact, our typical assessment typically identifies ways for our clients to reduce costs and produce a favorable ROI associated with our services.